Spotlight on Tuberculosis Aug 15, 2014- Tuberculosis caused 1.3 million deaths, including 320 000 deaths in people with HIV. WHO estimates that about 2 billion people have latent tuberculosis infection, and more than 100 million people with latent infection will develop active disease during their lifetime. The first drug discovered over 70 years ago was Stretomycin and gave a fighting chance for survival, but faced resistance very quickly pointing to the inadequacy of single agent treatment. 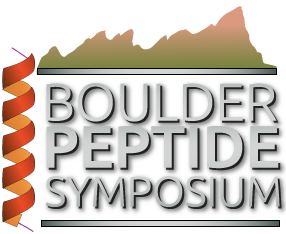 Ratmir Derda receives the Young Investigator Award Jul 10, 2014- The Boulder Peptide Society is pleased to announce that Dr Ratmir Derda, at the University of Alberta, has received the Young Investigator Award for 2014. The Young Investigator Award was established earlier in the year to support promising peptide scientists during the pre-tenure period.